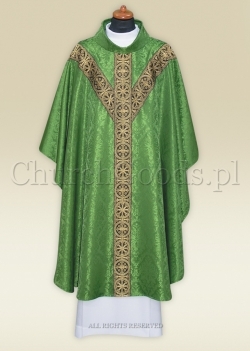 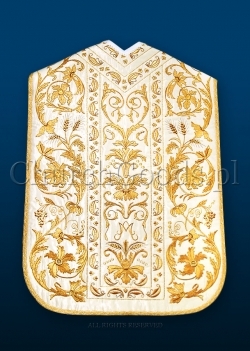 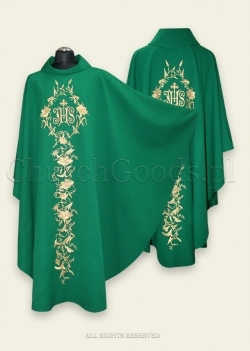 Chasuble in semi-gothic style in green color. 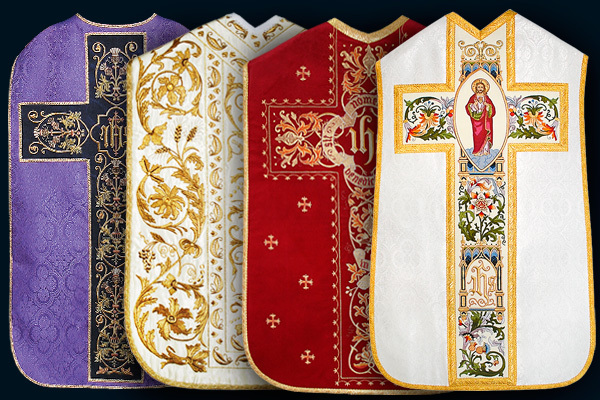 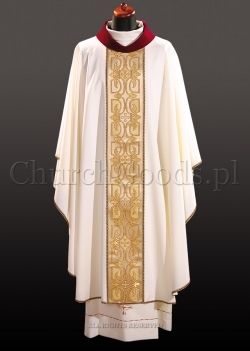 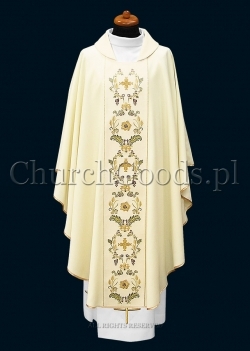 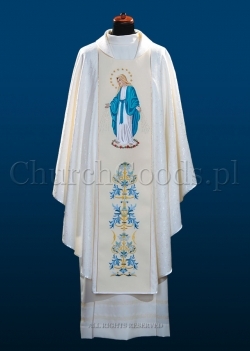 Roman style Low Mass Set in white color. 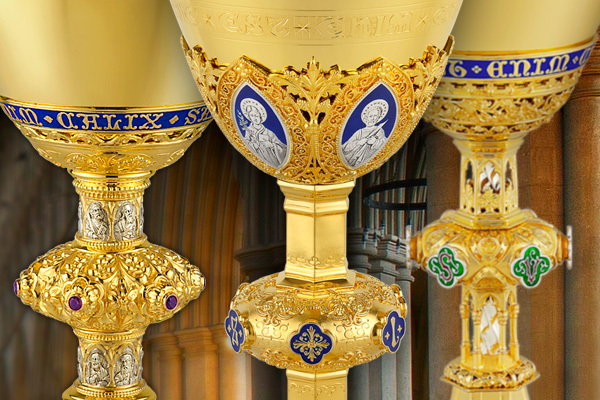 A neo-Gothic chalice decorated with blue enameled images of the Holy Family. 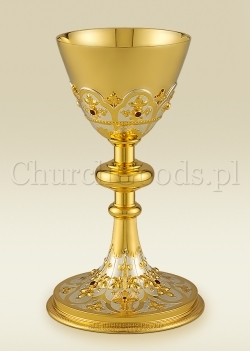 A chalice made in brass, gold-plated with fragments silver-plating. 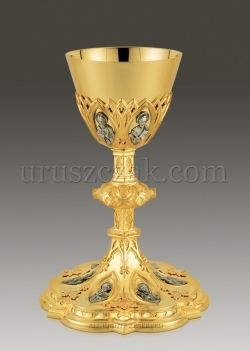 Neo-Gothic chalice with images of the Twelve Apostles. 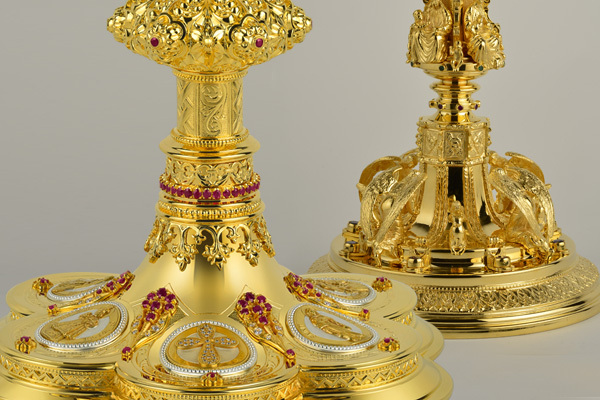 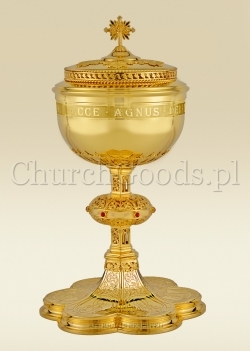 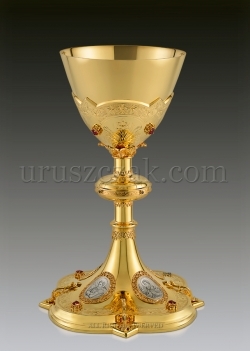 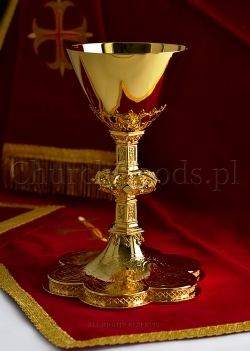 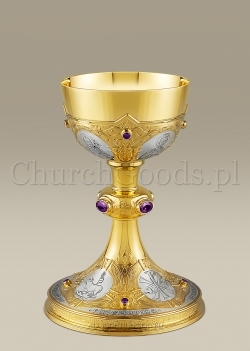 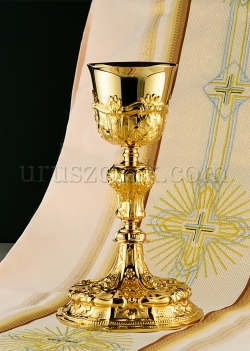 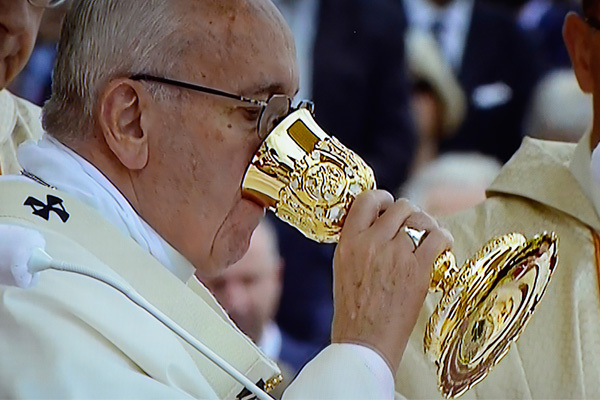 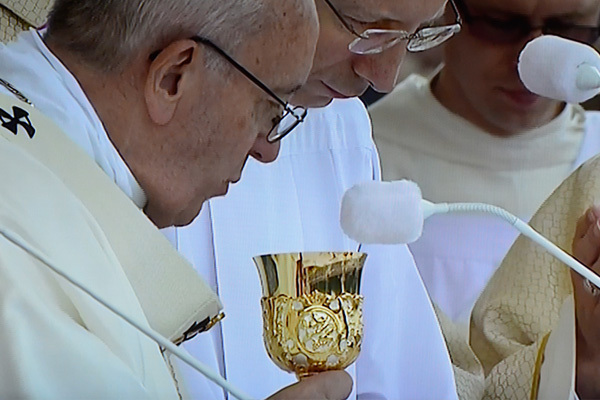 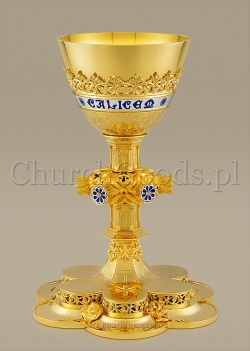 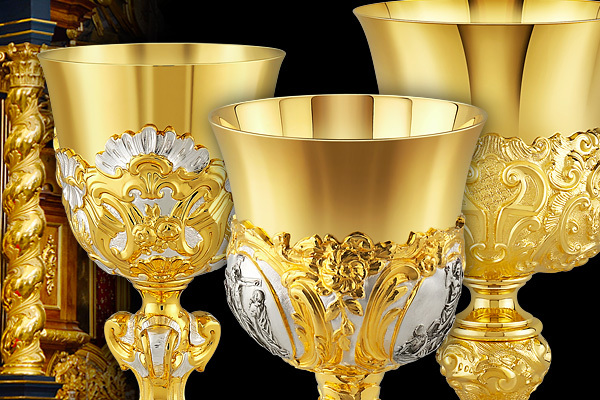 A mass chalice made in brass, gold-plated with enameled accents. 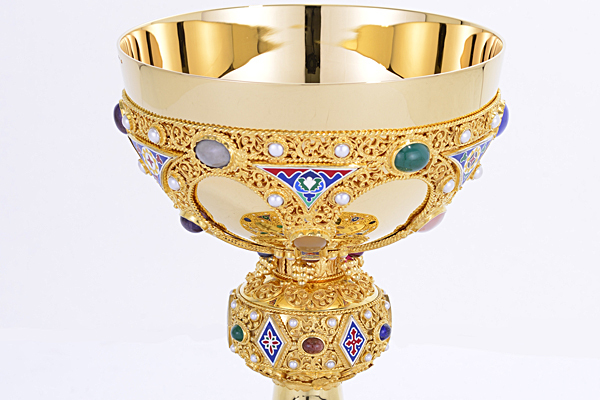 A mass chalice in French neo-Gothic style. 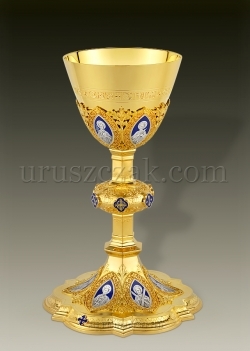 Neo-Gothic chalice with enameled images of the Twelve Apostles. 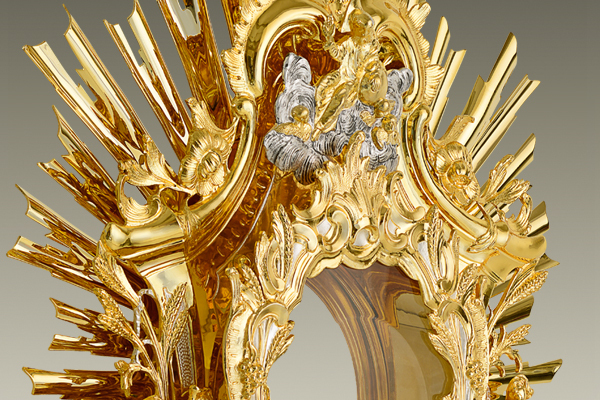 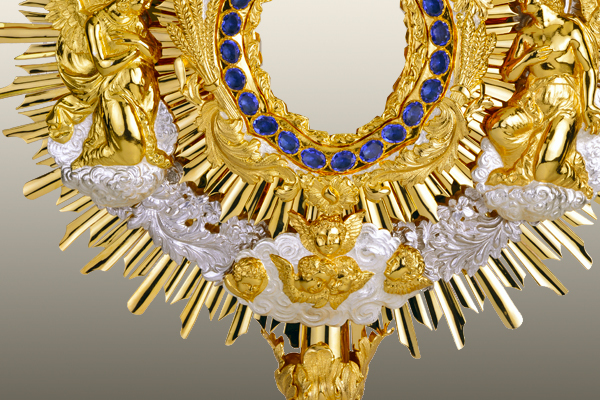 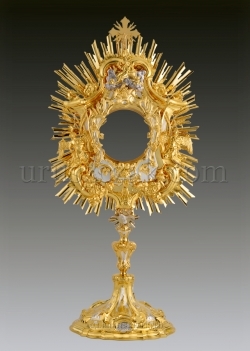 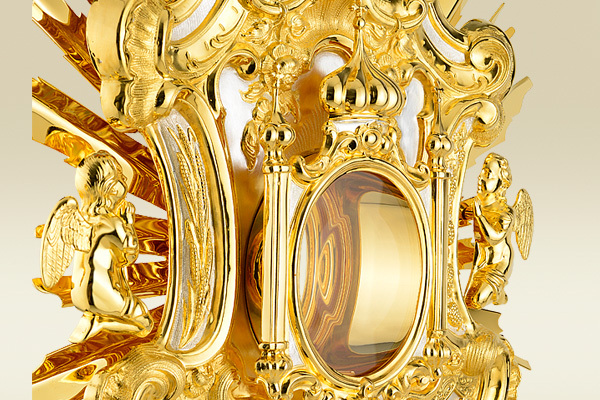 Traditional Monstrance, 75 cm Ht. 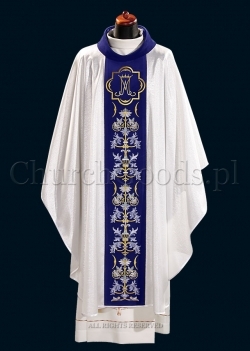 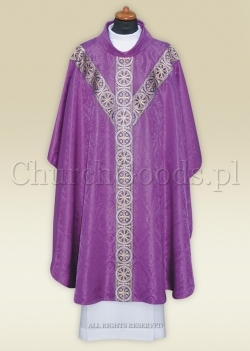 Chasuble in semi-gothic style in purple color. 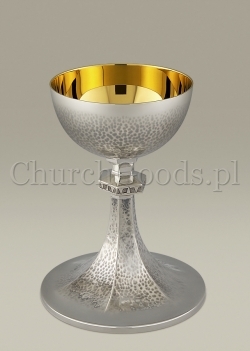 Chalice in romanesque style with hand hammered texture. 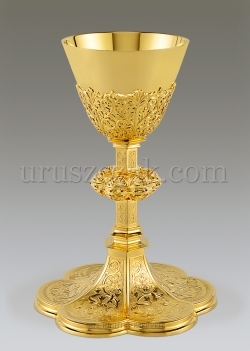 Silver-plated, gold-plated inside. 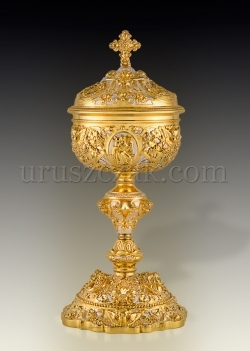 Ciborium decorated with angels and Baroque ornaments. 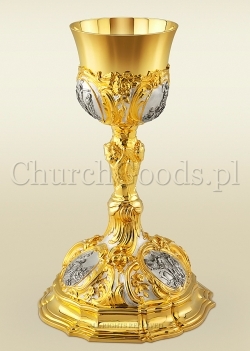 A chalice in baroque style. 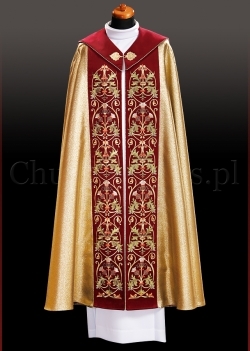 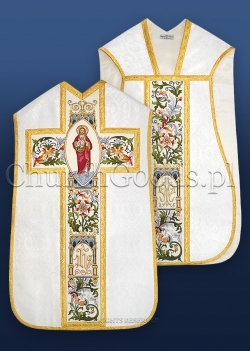 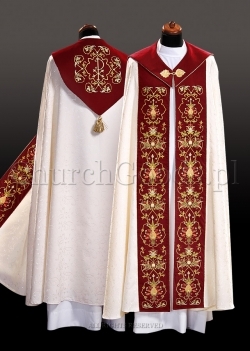 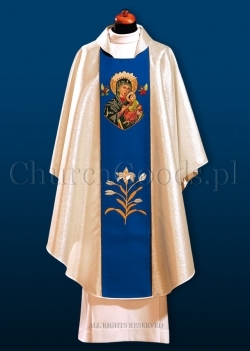 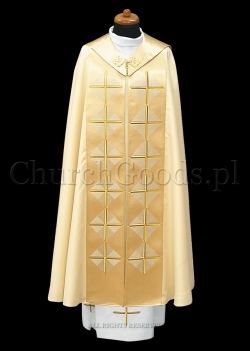 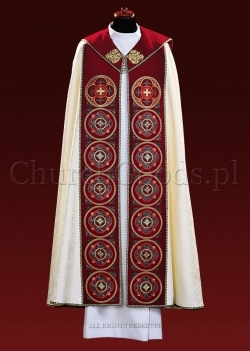 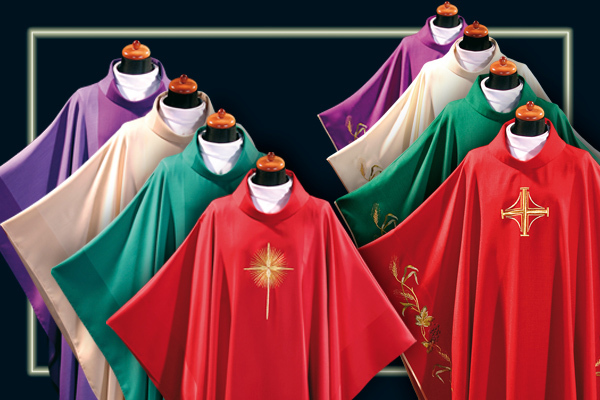 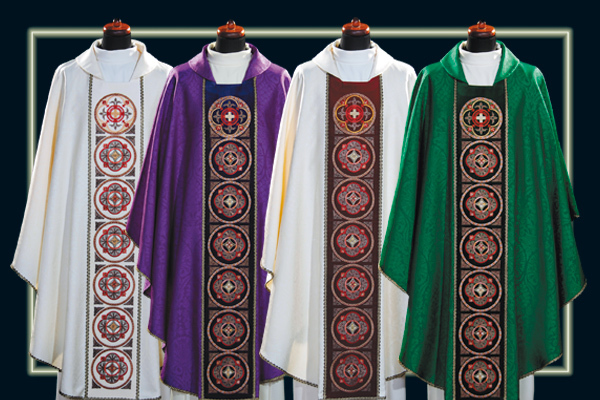 Set comprises gothic style stole. 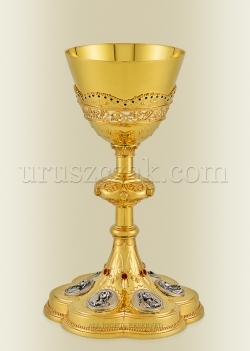 Neo-Gothic ciborium decorated with engraved images of saints. 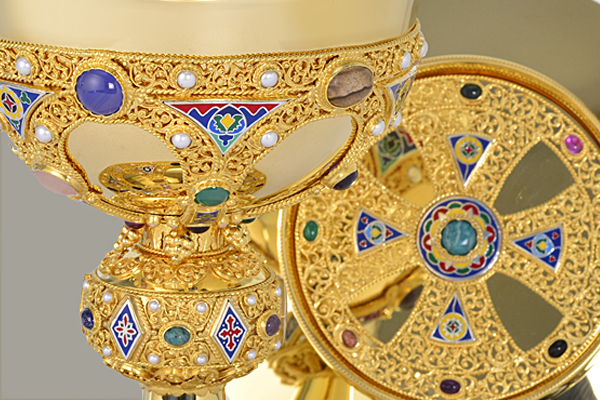 A mass chalice decorated with amethysts and badges with images of the Holy Family, st. Peter and Eucharistic symbols. 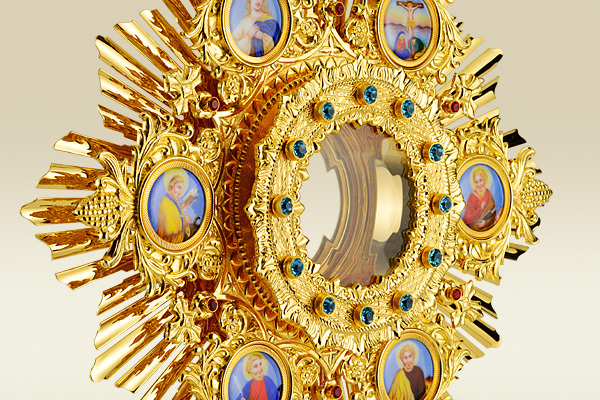 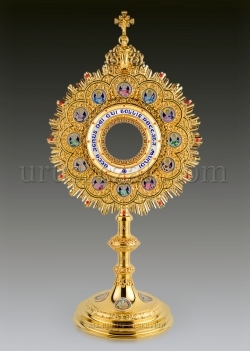 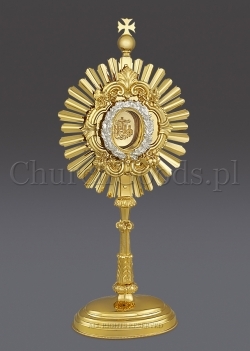 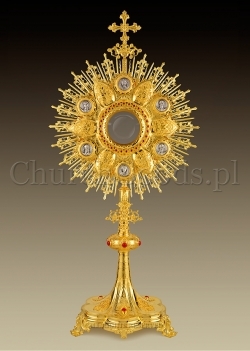 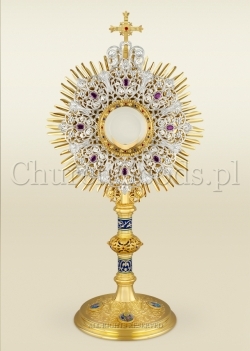 Traditional Monstrance, 64 cm Ht. 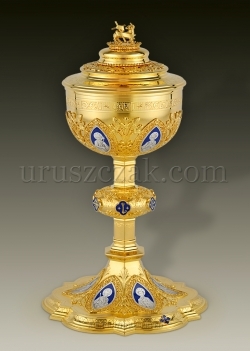 Neo-Gothic ciborium decorated with blue enameled medallions of the Twelve Apostles. 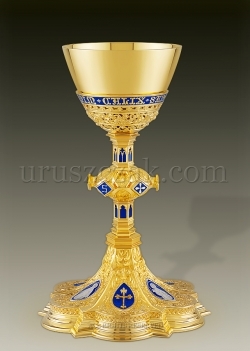 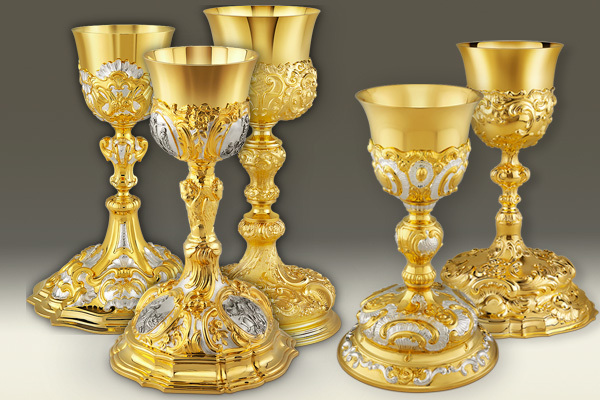 Neo-Gothic chalice stylized on German chalices dated for the beginning of 20th century. 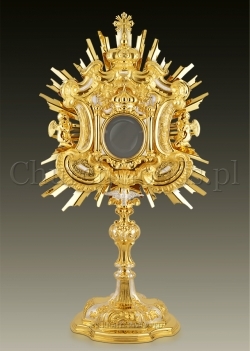 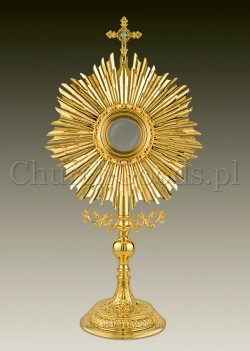 Traditional Monstrance, 72 cm Ht. 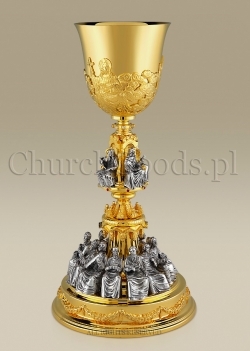 Majestic chalice with figures of the Apostles and the Evangelists. 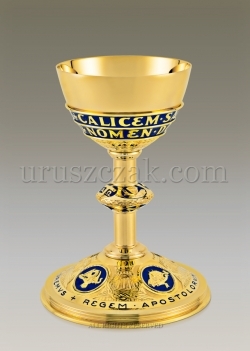 Chalice decorated with images of the Life of Christ.